Stretch out and settle in for a night of laughs with this overnight package! A nightly resort fee provides use of snowshoes, cross-country skis and skates for everyone in your room! Make a whole weekend out of it and add Friday night from $109*/night! Dinner and show is party seating, cash bar. 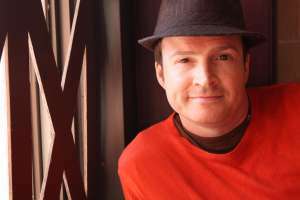 STEVE PATTERSON has been a professional headliner since 1997 and has taped numerous national television specials in the past decade including four Just For Laughs galas. His performance in 2010 earned him a Gemini nomination and caused host Steve Martin afterwards to exclaim “If I’d have known he was going to be THAT good, I would have cancelled him.” Following that performance, Patterson was twice named Best Male Stand-up Comedian at the Canadian Comedy awards and most recently has been nominated for the 2015 Canadian Screen Awards as Host on HGTV’s I Wrecked My House. Steve’s nationally toured and award-nominated theatre show entitled This is Not Debatable is now available on iTunes and his Book of Letters I Didn’t Know Where to Send is now available in bookstores. Steve latest role as a budding producer with his show The Smartass-ociates, making smart people funnier and funny people smarter. *Rate is per person, based on select accommodation and double occupancy (two adults per room). Rates shown are applicable to select accommodation and may fluctuate based on dates and availability. HST and resort fee are additional.